There is a rising trend in entrepreneurship that many might not expect. According to both the Ewing Marion Kauffman foundation and the Bureau of Labor and Statistics, entrepreneurship amongst baby boomers has shown a significant increase. The latest data from the Kauffman foundation, that was released back in April, showed that new entrepreneurs between the ages of 55-64 increased from 14.3% in 1996 to a whopping 23% when the same data set was analyzed last year. The News & Observer reports that there was also a significant bump between the ages of 45-54. In what’s being called a mix of boomer individualism and necessity, older American’s are trying their hand at starting small businesses and to some degree technology startups. In fact the Kauffman Foundation partnered with AARP last year to launch programs to teach entrepreneurship to AARP’s members who are 50 years old and up. Now he’s turned a vintage drum business that he started in his apartment to a full time business. While it’s not making him rich it is providing him with a comfortable living wage. Some older American’s are setting out as entrepreneurs because they have the resources to do it moreso now than 30 years ago. Access to technology has improved. Many older entrepreneurs find their way into the small business world. Restaurants and specialty stores seem to be very popular with this older group of entrepreneurs. But even some are starting product companies like Al Wilson of Manassas Virginia who has created a product called Rowdock, which is a calf protector for rowers that protects them from what’s called “track bites”. 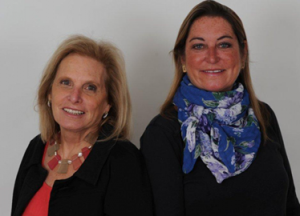 Then there are entrepreneurs like 68 year old Susan Jones and 54 year old Elizabeth Van Sant. These two DC women created tech startup Quad2Quad after helping a collective 11 kids go on campus visits for college. The startup, that’s catching on for many families, provides a platform for parents and families going on college visits to get an easy lay of the land, surrounding eateries, shopping and town quirks included. Both entrepreneurs have spent the better part of the last two years showing off their startup at conferences, events and pitch contests across the country. Some estimate that the rise in entrepreneurship for those 55 and over could increase yet another 20% in the next 10-15 years. Those entrepreneurs would also be even more tech savvy then the baby boomer generation. The rise is stemming from the decrease and competitiveness in the traditional job market.